Late summer is the time for storms and flooding. When disaster strikes, having an emergency plan is essential. But as you plan for the worst (and hope for the best), don’t forget about your pet’s place in those plans. Thousands of animals were displaced by the storms and flooding that ravaged the Gulf Coast following Hurricane Katrina in 2005, and New York and Long Island were severely affected by Hurricane Sandy in 2012. The recent floods in Louisiana have already forced thousands of residents—and their pets—out of their homes. Here are some tips to help you keep your pet safe in the event of a major emergency. The first and most important step is to plan ahead. In the event of a hurricane, earthquake, flood or other natural disaster, you may be forced to evacuate your home. However, most disaster shelters, such as those maintained by the Red Cross, generally cannot accommodate pets, with the exception of service animals. Because of this, it’s a good idea to work out some kind of emergency shelter plan for your pet. Contact hotels and motels outside your immediate area and find out if they allow pets, either in times of emergency or on a regular basis. Friends and relatives outside the affected area may also be able to care for your pets. Many veterinary hospitals and boarding kennels outside of the immediate disaster area also provide shelter for animals in an emergency. Some veterinary hospitals, especially those in disaster-prone areas, have emergency plans in place for pets staying at their facility. Whichever method you choose, keep a list of these “pet friendly” emergency accommodations on hand and make arrangements as far in advance as possible. Whatever you do, don’t leave your pet at home. Leaving a pet alone during an emergency is likely to result in your pet being injured, lost or even worse. If you are forced to evacuate and cannot make shelter arrangements for your pet, bring him or her with you and try to find shelter for them along the way. 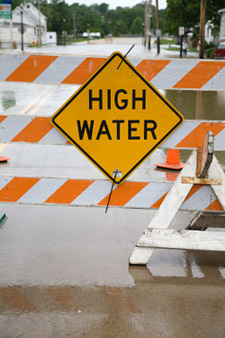 In the case of floods, hurricanes, major storms and other disasters for which warnings are often issued in advance, start making preparations immediately. Confirm emergency shelter arrangements, bring your pets inside, and be sure all of your animal companions are wearing some sort of ID tag. Microchipping your pet is the best way to ensure that you are able to find your pet should he or she become lost during an evacuation. Having a disaster supplies kit for your pet is very helpful. This kit should include medications, medical records and a first aid kit, leashes and harnesses, a supply of food and portable water, a photo of your pet (in case he or she gets lost), and bedding and a toy or two to keep your pet comfortable, if easy to transport. Pet crates, for transporting your pets, are essential. Preparations for each pet depend on the species and age of the pet. For example, birds should be transported in a secure cage or carrier, while snakes can be transported temporarily in a pillowcase until more secure housing can be found. Farm owners or those caring for horses and other large animals must also make special arrangements for evacuating or sheltering their animals at home. For more information and detailed examples of emergency plans, The Humane Society of the United States maintains a list of disaster preparedness resources for pet owners on their website. Additionally, the American Red Cross and the Federal Emergency Management Agency have compiled a list of resources and tips for keeping animals safe during a disaster. Individual states may have their own disaster plans for animals. The American Veterinary Medical Association maintains a list of states with animal disaster plans.